• The Invictus HF speargun is characterized by an aggressive design that evokes its spirit. 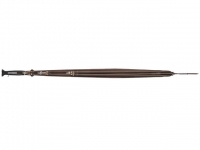 • The handle is ergonomic and angled to allow a firm grip during maneuvering and firing. • The back release device is very sensitive due to the use of stainless steel components and extended internal linkages This allows for a smooth release even under heavy load. 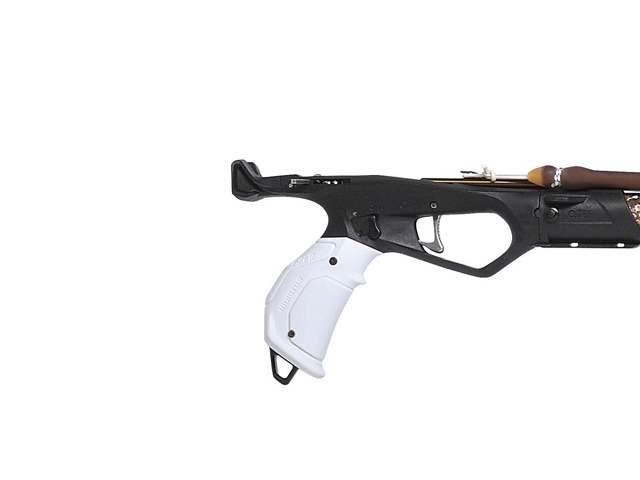 • The hydroforming technology makes the speargun extremely rigid. 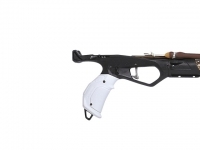 • The central part of the barrel is wider and serves as a hydraulic brake during the firing, absorbing part of the recoil. 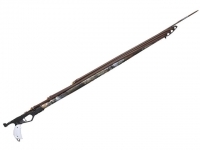 • The generous internal volume of the barrel allows the speargun to be equipped with a heavier shaft without compromising its maneuverability. • The camouflage is photographic 3D. • The open muzzle with three holes can accommodate different circular bands. 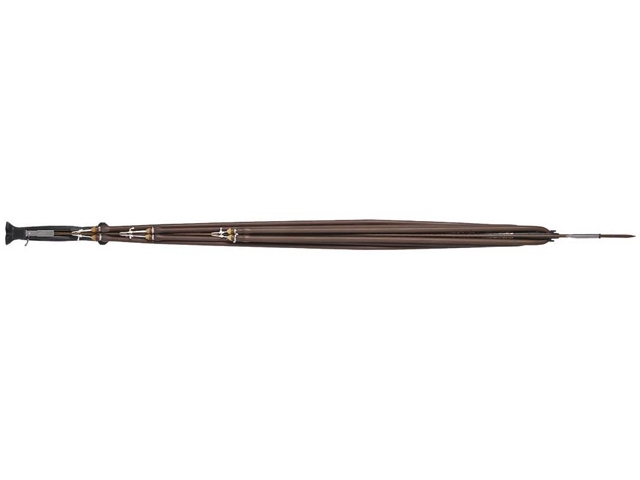 • This speargun features Omer Performer 2 bands with Dyneema wishbones. 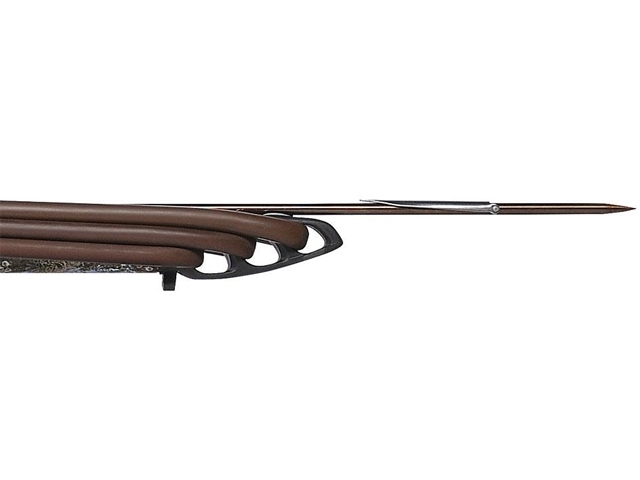 • 75, 90 and 100 cm Invictus HF spearguns are equipped with two 14 mm bands and 6.5 mm Omer America with shark fins and single barb. • The 110 and 130 cm spearguns are equipped with three 14 mm triple bands and 6.75 mm Omer America shaft with shark fins and single barb. This Product was added to our catalogue on Saturday, 02. February 2019.